Persons with intellectual disabilities are the most marginalised and disadvantaged group in the Ghanaian community. They face numerous challenges ranging from stigmatisation, limited mobility, high dependency, poverty, poor health care and lack of access to education. Research from all over the world shows that persons with ID are often targeted for abuse. It has also been shown that they very seldom obtain justice. Just like all members of the Ghanaian community, persons with intellectual disabilities deserve to enjoy the full scope of their legal rights and be treated as equals. 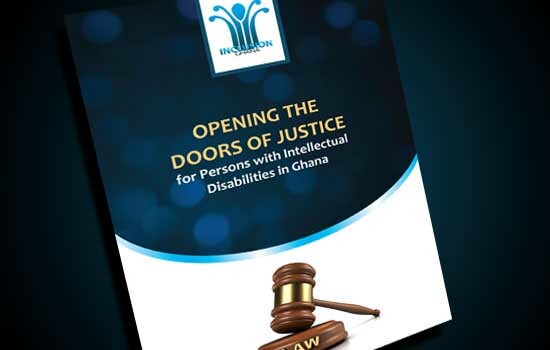 This booklet will provide you with information about the plight of persons with intellectual disabilities, the legal rights that persons with intellectual disabilities are entitled to under Ghanaian law and what to do when a complaint come to you and you realise the person involved is a person with intellectual disability. It is also for those assisting complainants in cases of abuses like members of the Ghana Police Service, Judicial Service Personnel, Social Workers, and Parents of persons with ID. Inclusion Ghana's vision is that with this booklet, we can work towards achieving inclusion and equality in access to justice for persons with intellectual disabilities in Ghana. We are grateful to Disability Rights Fund for its generosity in providing the needed funds to produce this booklet. The booklet is available for download in the Brochures and Factsheets section under Resources. On 27th & 28th February 2014, Inclusion Ghana and its coalition partners concluded the first workshop on working towards Inclusive Education for persons with intellectual disabilities in Ghana. We were fortunate to have the presence of two senior officials from the Special Education Division of the Ghana Education Service, who also contributed greatly to the depth of knowledge shared during the workshop. The coalition consists of 5 Inclusion Ghana member organizations, being Awaawaa2 (Greater Accra Region), Special Attention Project (Greater Accra Region), SAPID (Central Region), Kekeli Foundation (Volta Region), and Talent Search International (Eastern Region), with Inclusion Ghana providing support and undertaking national level advocacy. The project has been developed to monitor and advocate for greater implementation of inclusive education in Ghana over two years, with a specific focus on the experience of inclusive education for persons with intellectual disabilities. Disability Rights Fund, who is funding the project, is also providing technical support to the project. During the workshop the coalition partners shared stories of the challenges parents face when trying to enroll their children with ID in mainstream schools. Many have been turned away, laughed at or met with suspicion and fear. Others who have been enrolled in school are not receiving adequate support to ensure the education is meaningful. While some coalition partners have had success placing and supporting students in private schools, the cost of the supports has either been borne by the parents or by NGOs and it was agreed that such an approach is not sustainable. Recognising Ghana's 2012 ratification to the Convention on the Rights of Persons with Disabilities (CRPD), the coalition partners noted that as stated in Article 24, it is the right of every child to receive a free and inclusive education. Further, the government has agreed to provide the necessary supports to persons with ID in education. This project will collate data to assess the level of implementation of Article 24 of the CRPD and advocate to the government to ensure improvements are made. 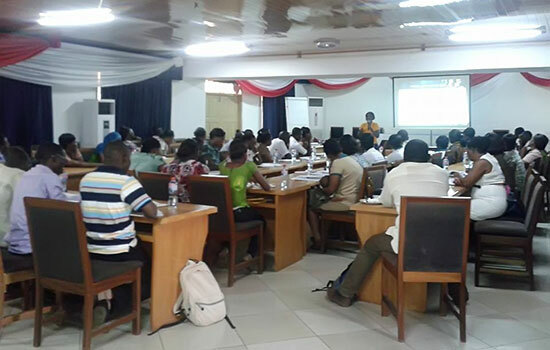 Inclusion Ghana, in collaboration with Kekeli Foundation, has successfully conducted its 4th training for health professionals on intellectual disabilities. The training was very well received, with the participants engaging and contributing to a very lively training. It was observed that the participants were pleased to acquire new knowledge on the subject of ID and the trainer, Nana Akua Owusu, guided the participants through many of the myths and confusion around the issue of ID. Many participants commented that they looked forward to implementing their newly acquired communication skills to ensure improved diagnosis and patient care. Further, it was agreed as a group that peer support and supervision were key to ensuring that health care was improved in the health facilities and all participants agreed to share their new knowledge in the health facility. At the conclusion of the training all participants made three personal goals as to how they would implement their learning from the training and these will be tracked in the coming months. The overwhelming feedback from this training is that it should be rolled out for all health professionals. 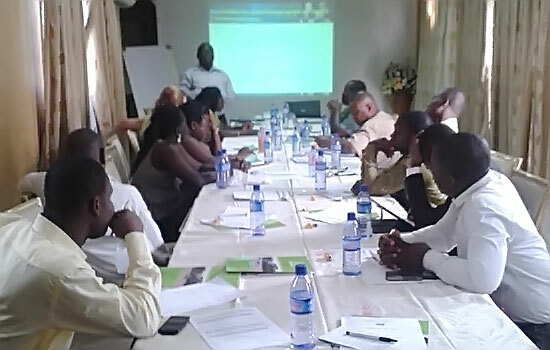 Inclusion Ghana was also pleased that local media took a keen interest in the training, with a radio presenter attending all days of the workshop and producing detailed media coverage about the training. Inclusion Ghana is embarking on a unique initiative in Ghana, collating information about all the different services and organisations working with persons with ID in Ghana. It has been recognized that the intellectual disability sector in Ghana is growing and there is a need for taking a coordinated approach to the sharing of knowledge and referral options. Further, there is increased awareness of the need for improved assessment, intervention and support for persons with ID and their families. In recognition of this, Inclusion Ghana is developing the first ever Intellectual Disability Services Directory. 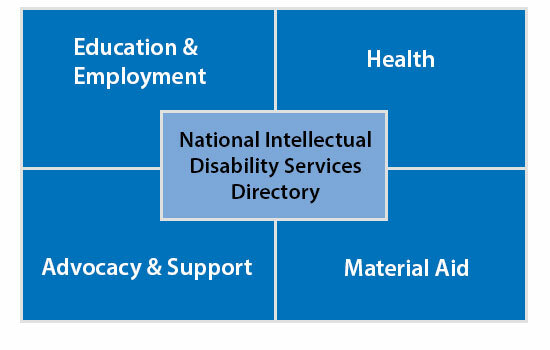 This Directory will ensure that persons with ID and their families are better connected to services and support and further, it will strengthen the ID sector in Ghana as a whole. In this directory we are requesting information about every organisation and service working with persons with ID in Ghana. We plan to update this Directory on an annual basis, as we hope the services available to persons with ID may increase over time. Should you wish to be included in this Directory, please contact Inclusion Ghana. Member organizations of Inclusion Ghana began rolling out a nation-wide awareness campaign on improving understanding about intellectual disabilities. Radio messages were recorded in English, Twi, Ewe, Dagari and Krobo from the point of view of a parent of a person with ID. The message informs listeners on the meaning of the term �intellectual disability� and the stigma faced by persons with ID. Finally, the message states that all persons with ID are deserving of love and acceptance. Listen out for the radio message across the country!